Moving house or relocating to Berlin? If you want to rent a flat or a house, you may have to do this through a letting agent. More than half of all private tenancies (international tenants) in Berlin involve a letting agent. The key to a good settlement is to find & rent the perfect flat in Berlin to live in. Searching for a rental property can be a nightmare. Whether it’s an relocation or you’re just moving house locally, BlueGreen rental home search and relocation service can assist you to relocate. Our relocation and rental home search service guarantees to save you time. 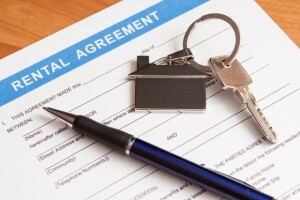 It’s important to bring the necessary documents to increase your chances of securing your desired house or apartment. Even if we bring all the documentation required, it’s no guarantee we will find a »cheap« place super quick since the market is so crowded. Berlin has become a magnet for young creatives from all over the world, so Berlin’s growing population means it’s increasingly difficult to find affordable housing (because of rising rents and a growing lack of housing in the city). We have built great relationships with real estate agents which ensures that our clients have the best chance of finding the perfect rental property. We have successfully found new rental homes for our clients, from executives to families with a range of budgets. Should you rent or buy in Berlin? 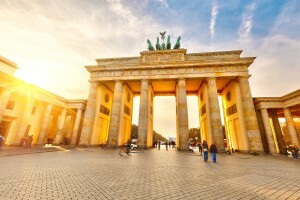 A city which has gathered interest over recent years and has now become one of the most popular destinations to invest abroad is Germany’s Berlin. 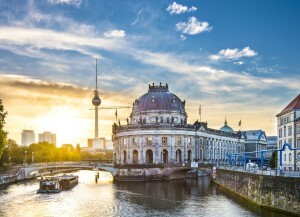 House prices and rents have risen dramatically in Berlin in the last decade, with rents rising 40 percent between 2011–2016 and house prices rising 60 percent in the same period. There are no restrictions for expats looking to purchase a property, making it an attractive investment for many expats planning on staying three years or more – i.e. long enough to defray the purchase costs. Residential property is the easiest asset to sell (far more so than a hotel or a shop for example) and the most popular property type. A flat in a good district often sells as soon as it goes on the market. Have you ever experienced this before? Your lease is up and you need to move house, but you cannot find anything and when you attend open for inspections, there’s you and 30 other hopefuls there. Or perhaps you just don’t have the time to trawl the internet, sifting through the hundreds of properties to find the one for you. Some of our clients are moving to Berlin to start a new job and just don’t have the time to look for rental accommodation. If this sounds like you, our local relocation service can assist you. The estate agent’s commission fee is usually payable when you enter into an agreement to let the property. This charge can be as high as 2 x Kaltmiete, plus USt (VAT) at 19% – so 2.38 x the Kaltmiete (net rent). If you need our support, contact us by email form and describe your situation (e.g. place to live in Berlin, which area of the city is most suitable for your needs, how much rent you can afford per month). You will first sign an agency agreement, giving the buyer agent / property finder authority to effectively act as the buyer / tenant on your behalf – i.e. authority to legally act as your agent. We only get paid if we’re successful.